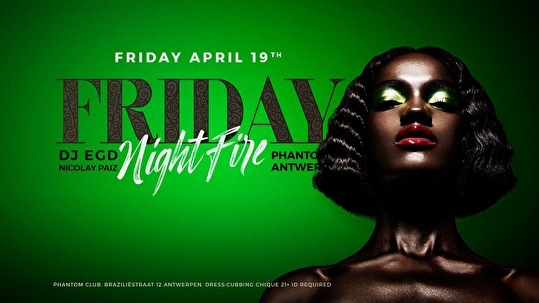 Friday Night Fire @ Phantom Antwerp! We have a little surprise for our guests who will enter between 23u - 01u. Do you want to make a reservation for VIP? Phantom Antwerp is a 21+ Night Club, ID is required upon entrance!